Join Master Meditation instructor, Sound Healer, and Master Reiki Teacher Sheri Rathburn for this beautiful group meditation, energy healing & Messages session! Guests will experience the combination of healing and clearing reiki touch with sound healing from the beautiful voices of the whale as well as crystal bowls. The song of the whale is one of the most profound healing sounds of all. When the song is felt inside of you its vibration will resonate like a sonic filter for your consciousness, cleaning, clearing, and making space for expanded awareness. It attunes you to the song of the spheres, that which is divine. It is also through sound that the whale–ancient being that it is–has become known as the Earth’s record keeper. 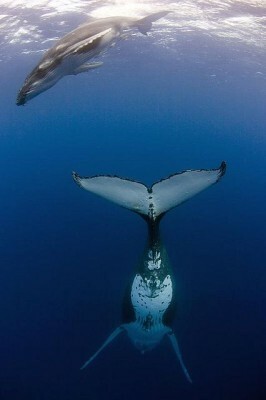 It is believed that the song of the whales carries our planetary memories and tonal signature. Mournful, high pitched, and deep, the whale song enters through your heart and spreads throughout your body. Learn how to tune to the whale song with this blissful meditation and Reiki experience. Each guest will receive a personal channeled message after the meditation! As I hold space for the group during this beautiful meditation, I will also be channeling messages as I receive them through your activated connection with whale and dolphin energy! This message will be brief but most likely profound in some way for each you. These will be given in private. We messengers of light and grace. You have this encoded in your Soul Entity.